Why do I need two Ethernet ports on my new computer ? How can I use two Ethernet ports? You are considering a computer or main board that has dual Ethernet ports onboard. You know what to use one of these ports for, to connect to your LAN or broadband modem, but what use is the other port in a home or office environment. This article will cover several useful scenarios for using this pair of Ethernet ports in a home or small office environment , as well as give a brief history on how the industry got to including one and then two Ethernet ports built into the main boards of new PCs, a feature often overlooked but in these modern times is quite necessary. The Onboard or Integrated Ethernet Port (also known as LAN on Motherboard) has been a welcome addition to the personal computer. In past times the system integrator, technician or end user was expected to install a costly add in card into their computer if network connectivity or broadband Ethernet was desired. More recently, the components necessary for networking have decreased in physical size and the cost has lowered to such a level that this once expensive (up to $100 AUD) Ethernet connection now included for 'free' in every new PC or main-board sold. Apple Computer have had a number of milestones in regards to onboard Ethernet, standard 100Mbit and later 1000Mbit Ethernet. Their iMac G3 Line from 1998 onwards included a 100MBit Ethernet port in the machine as standard - right out of the box. 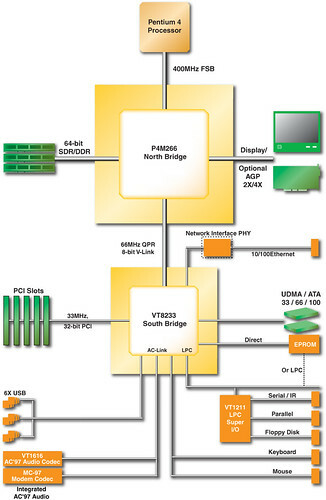 On the road to widespread availability, there was some innovation made to include industry standard,enterprise class 100TX networking on motherboard instead of the chipset vendor's own solution. 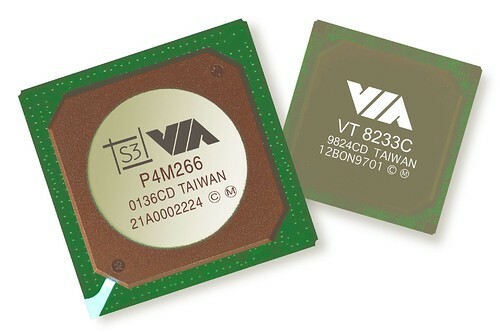 Both VIA and NVIDIA integrated licensed versions of 3Com's popular 920 Ethernet Controller within their chipset south bridges, therefore offering value for money enterprise class networking to customers. 3Com Networking in the System Chipset did not last very long and in hindsight, while a novel and worthwhile idea at the time, it was not a success. Later chipset from vendors concerned dropped the 3Com option and offered only their own in-house integrated Ethernet solution, which is satisfactory for the large majority of users and applications. The only issues that can arise with utilising a chipset vendor's own networking solution rather than a standardised brand or model is driver support, and some newer or more exotic parts may require additional effort from the end user to get these connections going. Size reduction of these parts overt the years has been quite profound. Early Gigabit LAN add in cards used general purposes processors with firmware and RAM rather than a discrete ASIC as with modern parts. Just after this milestone of cheap, integrated Gigabit for mainstream, the next evolution in integrated networking in mainstream computing was the inclusion of dual onboard networking, in either dual 100Mbit , 100 and 1000Mbit or dual 1000Mbit depending on the solution and the target market, with dual gigabit becoming quite commonplace . As of 2008, NVIDIA is one of the few vendors left actively promoting the benefit of dual Ethernet ports integrated onto the motherboard, and offers device drivers and software to take advantage of this feature.